Can you guess what flavor bread I’m making this week??? 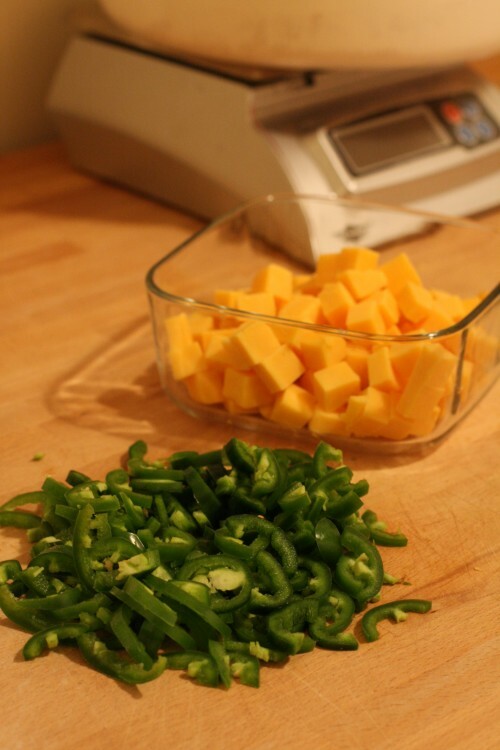 Tillamook extra sharp cheddar and jalapeno! I’ll be out delivering by bicycle Friday morning between 11am and noon. Nothing like warm bread delivered right to you! 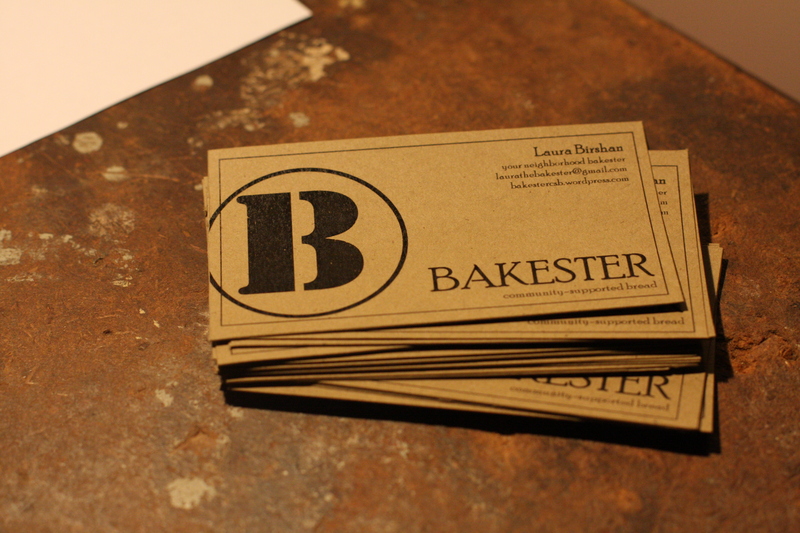 In other news, I’m officially legit because I’ve got homemade business cards! pow. in your face! I’m posting each week from here on out. Are you ready? I am! You can expect to find random bread posts on here from time to time but mostly you will see what I’ve been baking and what I will be baking with a few drool worthy photos of course. Yesterday I needed OUT OF THE HOUSE. 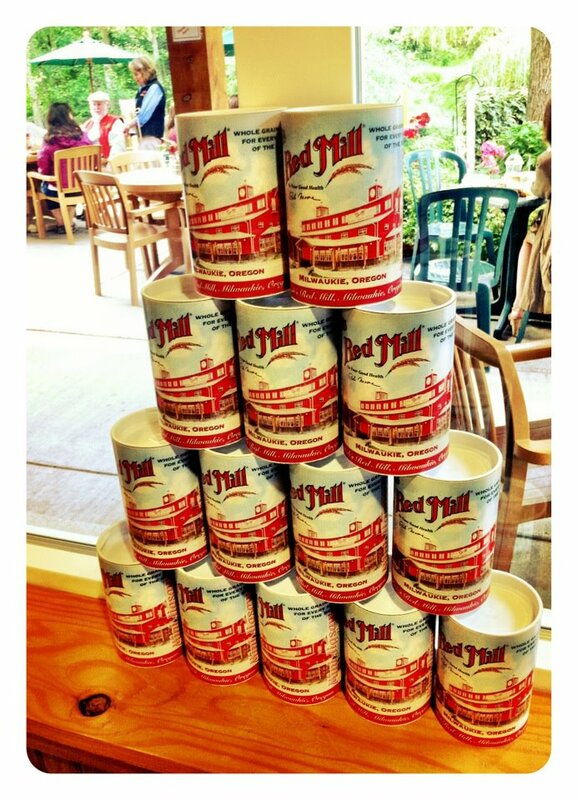 So my husband M and I decided to ride our bicycles to Milwaukie to check out Bob’s Red Mill Factory. They make grain related products. I can’t say I knew too much about the company, just that they make good products and the bread geek in me wanted to take a tour of their facilities. We missed out on the tour but lo and behold we got to see something so much better — Bob himself!! Granted, I thought for sure that Bob was probably the founder of the company but assumed he was long gone and dead by now. Boy was I surprised to see him alive and kicking, and looking just. like. he. does. on. all. his. products! I mean, this man has not changed! He’s been doing this since the mid-60’s….what did he have on his packaging back then? I bought a cookie from the bakery on the way out and the girl behind the counter says he is a very nice owner, knows all his employees names and yep, wears the same outfit (as seen on his products) every single day besides his birthday. TOO CUTE!!! But wait, the story continues! 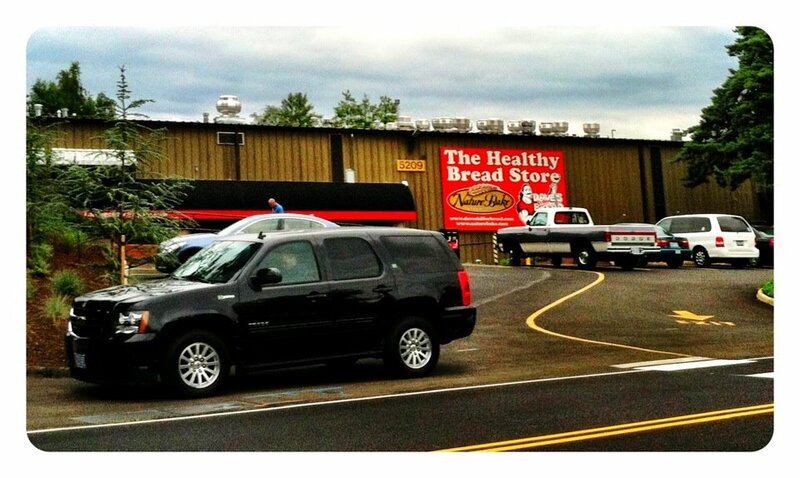 Those who do not live in Portland might not know the bread company, “Dave’s Killer Bread”, but it just so happens to be right across the street from Bob’s Red Mill. Coincidence? Dave’s story in short was he was a 4 time convict before he decided to turn his life around. Now he has a very successful business. While browsing and sampling his bread, Dave walks in to the showing room, grabs a few loaves of bread, tells the girl at the counter what he has taken, walks to the front door, lowers his shades and states, “just say no to bread on drugs!” Did that really happen?! I mean, this is within a half hour of each other. It was like star spotting only these guys are bread superstars. SICK! These guys are such polar opposites. Too funny. I was too shy to ask for a photo so we stalked them instead…..enjoy! 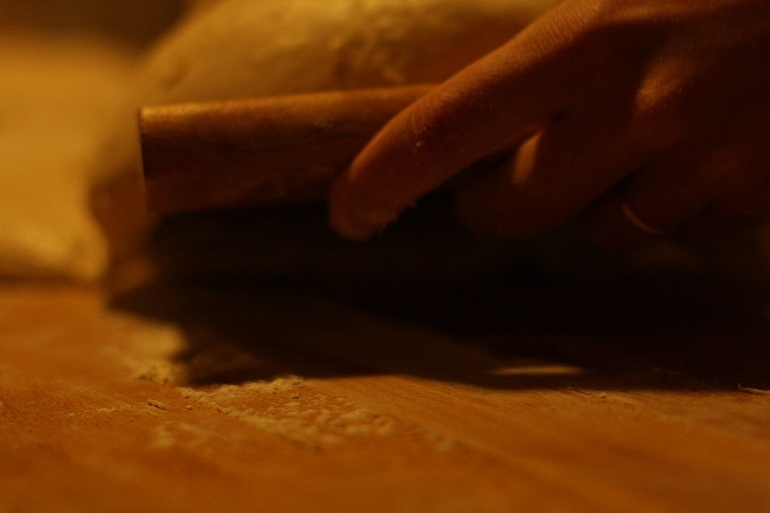 Oh yes, and the real reason for this posting: Tomorrow I will be baking bread! This week I am making an old favorite– a 25% wheat loaf coated with poppy, sesame and fennel seeds! This bread is fantastic on its own but also makes exceptional sandwich bread, an appetizer with some good olive oil or an accompaniment to a bowl of soup, or a hearty salad.